The Trump administration has been trying to force major political change on Iran, withdrawing from a 2015 nuclear deal and imposing sanctions as punishment for actions in the Middle East that Washington considers unacceptable. It also is pressuring Venezuela with sanctions as U.S. officials seek the ouster of President Nicolás Maduro from power. By pressuring China and India to end or sharply reduce oil purchases from Iran and Venezuela, U.S. officials are seeking to cut off a key economic lifeline for what the administration considers to be two rogue nations that threaten the stability of the Middle East and Latin America. “If you want to keep gasoline prices low, it doesn’t seem like the best strategy is to put maximum pressure both on Venezuelan and Iranian exports,” said Helima Croft, global head of commodity strategy at RBC Capital Markets and a former CIA energy analyst. 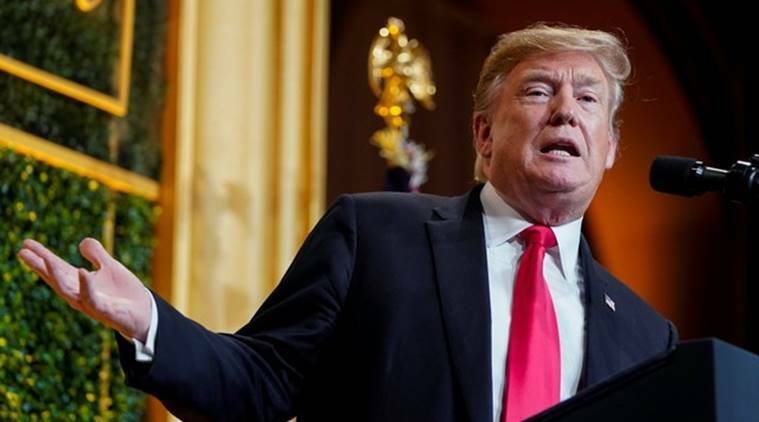 With 2020 elections looming, President Donald Trump is keen to tamp down gasoline prices, especially as summer approaches, when energy use surges and Americans take to the road. Since mid-February, retail gas prices have risen, and the global benchmark price for oil has surpassed $70 a barrel, about what it was before Trump withdrew the United States from a nuclear agreement with Iran in May. Now U.S. officials are looking to inflict greater economic pain. The internal debate over how to do so was detailed by a dozen current and former officials and oil industry executives and analysts. China and India have enormous energy needs. Both were granted six-month waivers in November to buy Iranian oil, but neither has met U.S. demands to greatly reduce their purchases. Pompeo is leaning toward continuing the waivers, while John Bolton, the national security adviser, is pushing for ending them. Both are Iran hawks. Tensions with China could threaten trade talks and cooperation on North Korea — both central pillars of Trump’s diplomacy. Turkey, a NATO ally, may become more dependent on Russian energy if it is pushed to buy less Iranian oil. But Saudi Arabia, a chief Trump administration ally, has criticized the waivers. Last fall, anticipating the U.S. sanctions against Iran, the kingdom increased its own oil production — and instead was surprised and frustrated by the waivers that drove down prices. Those sanctions ended as part of the 2015 deal, brokered by world powers and Tehran, to limit Iran’s nuclear program. Trump withdrew from that agreement in May, sending Iranian crude exports plummeting more than 25 percent, or around 600,000 barrels a day, between June and September. By December, it was clear U.S. sanctions were having a big effect. Taiwan, Greece and Italy never used the waivers and ended their Iranian imports. In February and March, Iran exported about 1.3 million barrels a day. That was a notable rise from December, even if it was still half of what was exported in April 2018, the month before Trump withdrew from the nuclear deal. India is also dependent on oil exports from Venezuela. But Venezuela’s largest customer was the United States, and the Trump administration in January imposed sanctions to end those sales and starve Maduro’s government of revenue. The United States and 53 other nations recognize Juan Guaidó as Venezuela’s interim president and want to force Maduro from power. India pays Venezuela for its oil in cash, at a 20 to 30 percent discount below prevailing world prices, while China agrees to write off Caracas’ debt. Rosneft, the Russian oil company, has been providing fuel supplies to Venezuela. That has helped Maduro dig in. Sadad Ibrahim al-Husseini, a former executive vice president of Saudi Aramco, Saudi Arabia’s state-owned oil company, said Trump lost credibility when he granted the waivers.